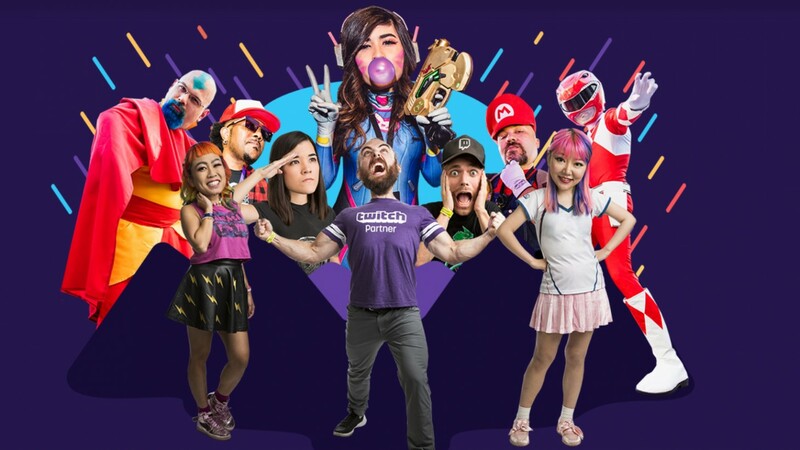 Twitch has announced the lineup of sponsors, events and exhibitions coming to TwitchCon this year, and plenty of big names and brands are set to be in attendance. For fans of competition, there are livestreamed tournaments such as The Broadcaster Royale: Omen Challenge which pits the biggest streamers in PlayerUnknown’s Battlegrounds against one another for a piece of $300,000. In the Doritos Bowl, Twitch stars like Ninja and Shroud lead teams against one another in Call of Duty: Black Ops 4’s new battle royale mode. And the six-week Fortnite Fall Skirmish sees its conclusion with the grand finals taking place over three days and the world’s best Fortnite players competing for $10 million. Among the 140 exhibitions this year, fans shouldn’t be surprised to see an entire hall dedicated to Fortnite with activities for solo players and squads. Bethesda is in attendance for the first time showing off Fallout 76, The Elder Scrolls Online, and other games via livestream. PlayStation is bringing an entire truck outfitted with gaming stations and demos. Black Desert Online is showing off its new expansion, Drieghan, which is set to release for free November 14. Other big names like Sega, Creative Assembly, Magic: The Gathering Arena, World of Tanks, Omen by HP and even Nissin Cup Noodles are setting up exhibition booths. For all the streamers out there, there are workshops. Fans of indie games can stop by the Indie Zone to play games by their favorite independent developers, and the TwitchCon Charity Decathlon will host a series of challenges and competitions to raise money for charity. If you’re interested in the event and want to know about everything that's going on this year be sure to check out www.twitchcon.com for more information. TwitchCon 2018 is taking place October 26-28 at the San Jose McEnery Convention Center in San Jose, California.